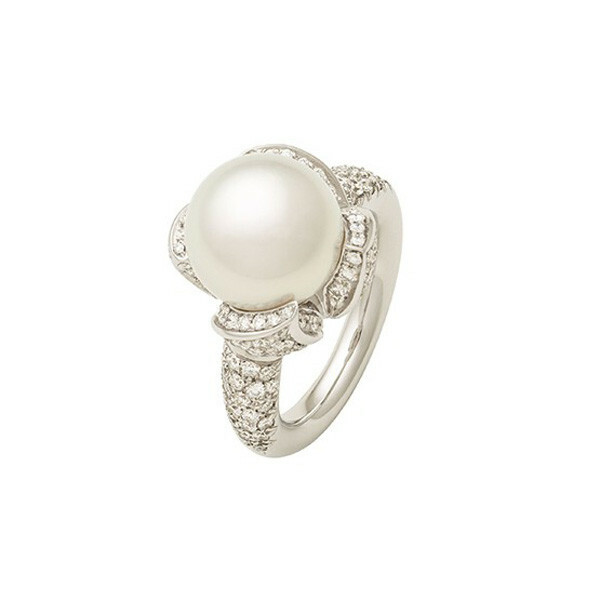 The glamour of diamonds and pearls is evident in this breathtaking ring from Mikimoto's Water Lily collection. A marvelous water lily rises up from an 18kt white gold band with white diamonds on its shoulders. Within the folds of its diamond-encrusted petals, a stunning South Sea pearl shimmers elegantly at the center of this most alluring flower. Let the magic of Mikimoto transport your style to a place of exquisite beauty.